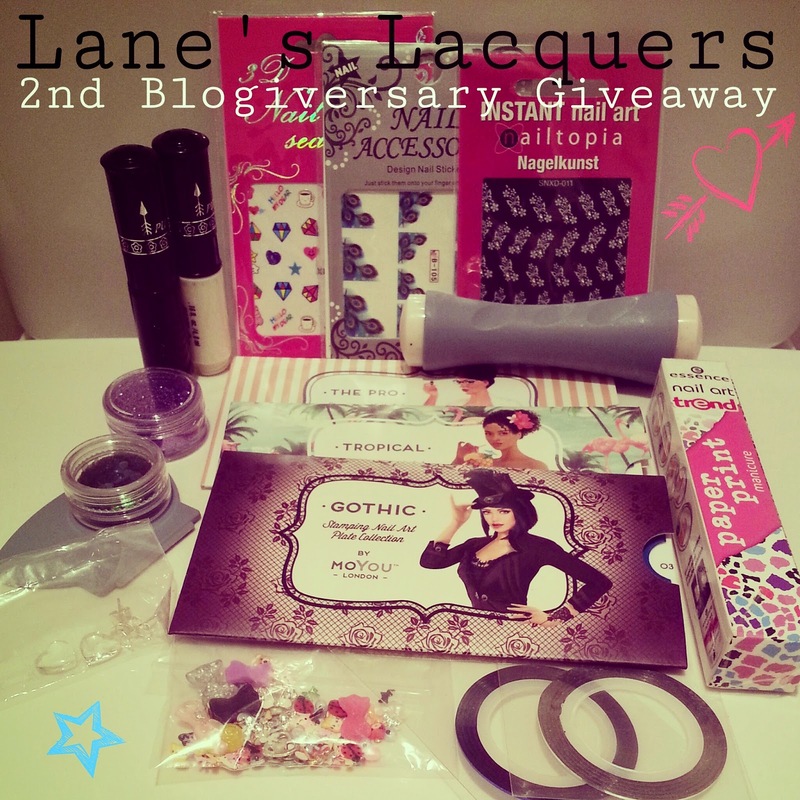 Lane's Lacquers: Lane's Lacquers Turns Two: Blogiversary Giveaway! Lane's Lacquers is another year old today... How time flies! To celebrate, I have put together a nail art goodie package for you lovely readers to be in with a chance of winning! Due to not giving away any polish this time, it is open internationally! Enter via the Rafflecopter widget below... Good Luck everyone! Thank you so much & Happy Blogiversary! Happy Blogiversary ;) Awesome Giveaway Thank You For The Chance! I Dream Of Being A Nail Tech: Rewind!